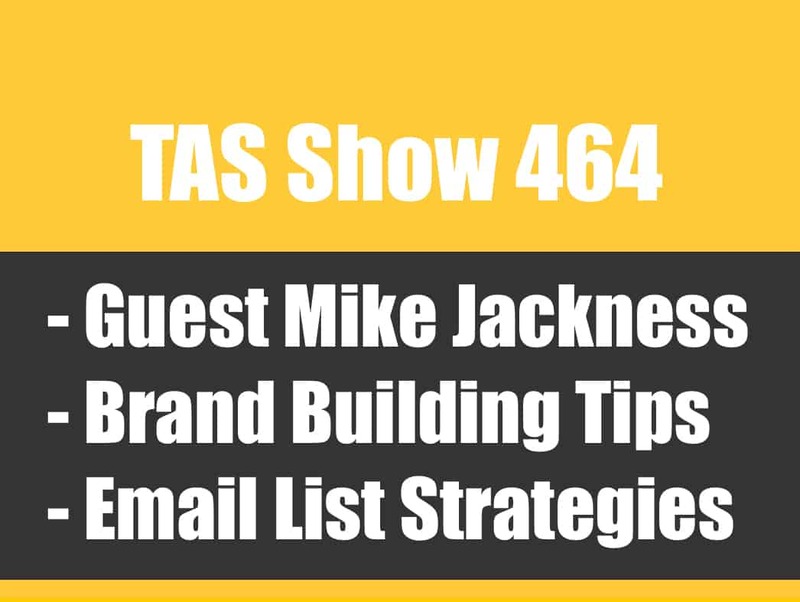 TAS 541: Ask Scott #169 -What’s Best Way To Send Traffic to my Amazon Products and Listings Using Content? 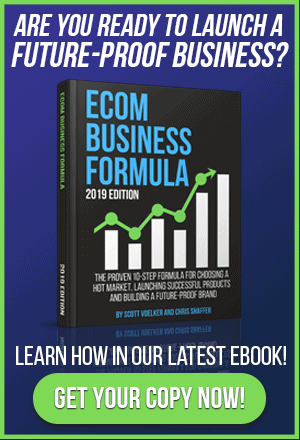 Are you fired up and ready to go out there an build your ecommerce business? What’s holding you up? What’s slowing you down? Do you have some challenges that you need some outside perspective on? You’ve come to the right place! It’s time for another session of Ask Scott here on The Amazing Seller! 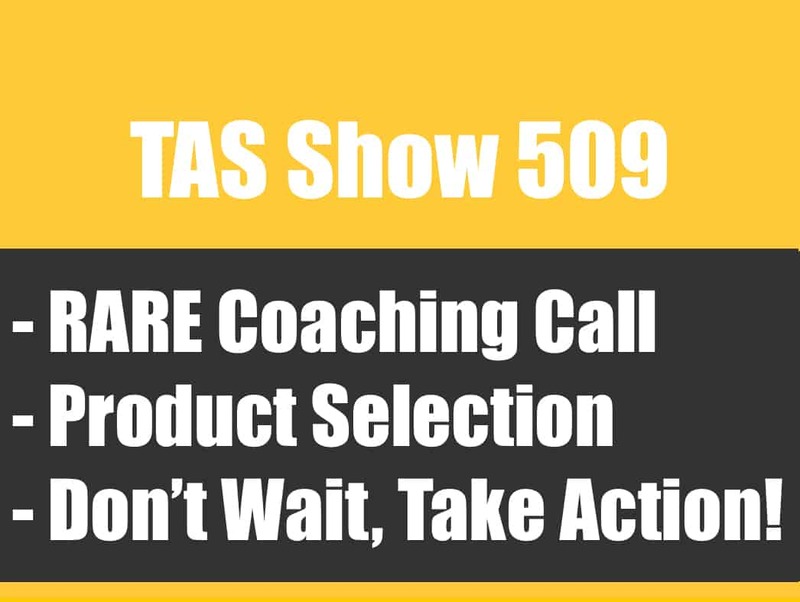 On this episode, you’ll hear from Scott as he goes over how you can participate in a new TAS contest, his thought of the week, and an answer to a question about driving traffic to your product listing. Make sure to have pen and paper ready for this exciting episode! Make sure to check out the new TAS contest! As an ecommerce seller, you are looking for every way possible to get an edge over your competition. One of the best advantages that you can get your hands on is connecting, personally with Scott and getting the opportunity to learn from him. Don’t let your chance to get private coaching sessions with Scott and a whole load of TAS classes and content pass by! Check out the resources section below for a link to enter the new TAS contest. Hear more about the contest by listening to this episode of The Amazing Seller, you don’t want to miss it! Let’s face it, the internet is packed full of copycats. Too often people take advantage of that copy and paste tool to grab content that others work hard creating to pass it off as their own. Make sure you don’t follow that same mistake! It’s worth your time to sit down and plan out and think through creative content to engage your audience. Build something you can be proud of and something your followers will be proud to share. Hear more about this topic and other helpful tips from Scott by listening to this informative episode of The Amazing Seller! Customizing links and driving outside traffic. What is the best way to drive traffic to your Amazon product listing? Should you just provide the direct Amazon link to your brand’s product listing? On this episode of The Amazing Seller, Scott explains his take on this important topic! Do not post the direct Amazon link to your product listing for outside traffic! There are some helpful tools that you can use to customize your own link for your audience. The main reason you want to do this is to maintain the control of that “asset.” Now it may seem odd to think of a link as an asset – but think about it this way, if you have these customized links out there that drive traffic to your product listing on Amazon, when you want to make the shift to your own ecommerce store, you can start by updating your link. To get the full breakdown from Scott on why this is so important, make sure to listen to this episode! [2:30] Make sure to check out the TAS contest. [6:00] Scott’s thought of the week; create useful content! [9:00] Question: What is the best way to send traffic to my Amazon product listing? [14:00] Closing thoughts from Scott. …, well, I’ve got some cool things I want to share with you, not to mention I’ve got a great question that I want to share with you that one of you submitted. I should probably let you guys know what that this right now. You probably already know by reading the title, but I’ll say it again. The question is going to be what’s the best way to send traffic to my Amazon products and listings from content? And the reason why this question came up was because of some of the other content that I’ve created teaching about lead magnets, how to get people to raise their hand, how to collect emails and then where do we send the traffic now. So, that’s what we’re going to be addressing. Now, if you did miss any of those other episodes, the lead magnet one, that’s a lead magnet. That means we’re going to get people to raise their hand. That’s kind of how we refer to that. And then I go over five different ones that you can use in your business. 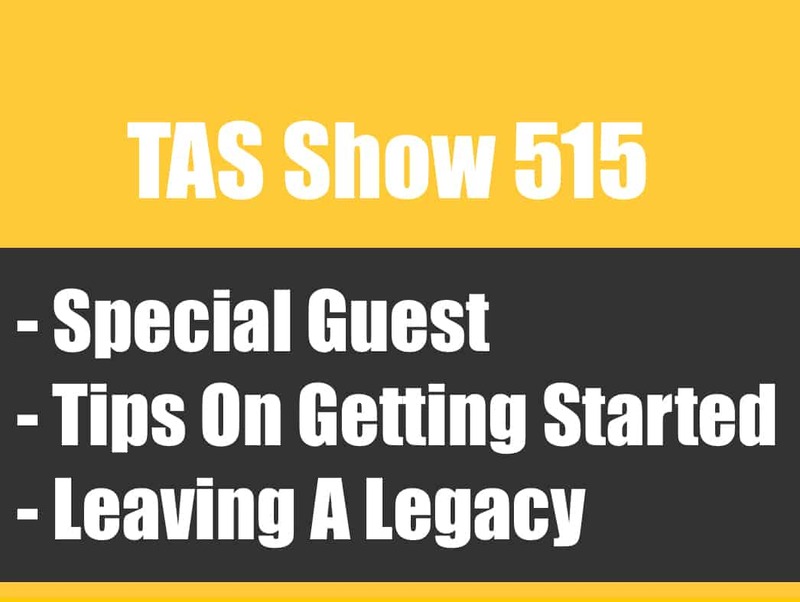 That episode is episode 531 so I would definitely advise checking that out. I also created a YouTube video on that, me at the whiteboard. And oh, by the way, if you have not went over and checked out TAS YouTube like what’s going on over there with the TAS TV, you definitely need to do that. I’ve been showing up twice a week, at least twice a week. One is usually a whiteboard video and then another one is an Ask Scott session just like this but me on video in my office. Now, if you’re interested in checking that out definitely, definitely head over to TheAmazingSellerTV.com. You’ll go there. You can subscribe and then you can watch, and you can learn because I’m really in there just teaching what I’m doing and also what I’ve learned. So, it’s a lot of fun and I’ve had a lot of great feedback so far. [00:02:04] Scott: So, I’m going to keep it coming as long as you keep showing up so definitely go check that out, subscribe to that channel, comment, do all that fun stuff over there on YouTube. All right. So, this episode is again an Ask Scott, but you can find the show notes and the transcripts at TheAmazingSeller.com/541. Now, one other thing that I want to announce here which I already announced it through email and I’ve touched on a little bit on Instagram, but we’ve still got over half of a month left in this contest giveaway that I’m doing right now. $3,000 in prizes, actually more, a little bit more than that. I’m going to be giving away access to a couple of our trainings. I’m going to be giving away an hour of my time, also a tool that we used to capture emails, all of that, and I’m doing it as a way to say thank you and I appreciate you and I want to have some fun. And I also wanted to test out a new tool that we created or it’s actually an update to one of our tools, Giveaway Boost, and there are some cool features that are built in the backend that I’m also going to reveal in another training but probably in another workshop in the future. But, yeah, so I just kind of want to go out there and have some fun with it, give back and let you guys have an opportunity to win some prizes and some training and maybe you and I can get on and have some virtual coffee together. So, here’s how you enter. You go to TheAmazingSeller.com/Contest. Pretty easy. Just go to TheAmazingSeller.com/Contest. Now, if you’re listening to this after July 30, 2018, then it probably is expired. It will be expired but that link may redirect to a future contest, so you might just want to go there anyway and see if we have a current contest going on but if you’re listening to this in July of 2018 then it will be live and it will be ending on July 30. [00:04:04] Scott: And the reason why I chose that date is because it’s my birthday so why not have a little fun on my birthday and connect with you guys and give away this prize and, I don’t know, maybe we’ll do a video for it and stuff but, yeah. So, that’s what we’re going to be doing here in July of 2018, a way to have some fun and go check it out. All right. So, the other thing before we do dive in to today’s questions and let me just say too with today’s question, what I’ve been doing lately, and I think you guys know that I’ve been listening for a while on the Ask Scott stuff, I’m actually publishing the video version of this on YouTube and then what I’m doing is I’m reposting it here on the podcast. It helps me with being able to do both platforms but it also I think gives value here on the podcast because you guys get a little bit of this pre-question where I’m able to get on here and give you some thoughts of the week and stuff like that that you guys caught up but then you also get to listen to that question because some of you don’t hang out over there on YouTube and you just don’t. I get it, but you should because I’m over there now. But, yeah, so let me just kind of say today’s recording is a little room echoey and the reason is, is because my external mic wasn’t working, and I didn’t know that until after it was recorded but, heck, you know how I roll. You know what, it’s okay. It’s not perfect but it’s still great value and I think we should all take a lesson from that and say, “You know what, our product might not be perfect, but we can’t really sell it or expose it to the world if we don’t get it out there in people’s hands and get some feedback.” So, I’m going to let it roll. I’m going to actually publish this, and you guys are going to hear a little bit of room echo and it’s not up to my expectations but that’s okay. It’s what we do when we want to move forward and when we’re action takers. All right. So, anyway, just kind of want to let you guys know I’m aware of that. [00:05:55] Scott: All right. So, before we do jump in, my thoughts of the week, very simple this week, very, very simple, creating useful content for your business, period, and what I mean by that is you need to start thinking how can you deliver value to your customers or to your leads for the lead magnets. How can you continually speak to these people because they are people by the way and you should also be aware of that and how can you create three or four or five different pieces of content that educate them? Or helps them in their decision? I was talking to my good friend, Steve Chu, the other day and he reminded me, generally it takes about eight touch points before someone makes a purchase. So, we need to keep that in mind, so we need to create those touch points and the way to do that is obviously you guys have heard me talk about a lot about that, get on an email list, start building that goodwill, know, like, and trust, delivering content and from there, you get someone that trust you and then will buy from you. And here’s the thing, like a lot of us are focused on just Amazon and that’s okay but you got to understand that there’s a lot of other people doing the same thing so what we can do is we can create a little bit more of a brand presence or even just more of a trusted brand because what’s going to happen is people are going to start on Amazon but then from there, they will go to the brand outside of Amazon just to do a little bit of a background check and then they may come back and still buy on Amazon. That’s why we want to be on Amazon too, but they might also buy over on your website. But this is a way for them to be able to kind of vet you out like say, “Hey, wait, whoa, what is this company?” And then see that you deliver value and then you’re part of that community or that market and you’re delivering value to that market, you’re the expert in that market or someone that’s a reporter in that market like whatever it is then you can do that through useful content. [00:08:00] Scott: And actually, I was just on a hangout call for our TAS Breakthrough U community and someone is going to be starting to sell a really high-priced item like $1,500 item but we were talking about like how do you get someone to go in and buy $1,500 right out of the gate? Well, you really don’t. You got to build that trust and it might also start with smaller ticketed prices or lower ticketed prices and then you’re building up that value ladder in a sense but if you’re going to sell something like that, you definitely need content, you definitely need to know, like, and trust that company before anyone’s going to shell out $1,500. So, just keep that in mind. You want to be creating useful content for your brand. All right. 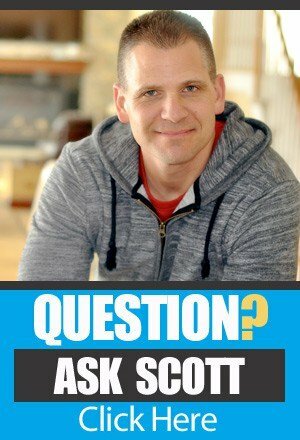 So, with that being said, keeping that in mind, don’t forget that, with that being said, let’s go ahead and listen to this question that I answered here recently on an Ask Scott session. [00:09:04] Scott: “Hey, Scott. If an article is published about our product, shouldn’t we give our website link or our Amazon link? You’ve been saying website landing page a lot lately, but we heard that Amazon also rewards outside links and that’ll help us get in front of page or ranking so this way here we can make more money. Any advice?” Yeah. I do have some advice. Now, outside traffic doesn’t mean that it’s just a direct link from that article. We can still intersect that link in a sense and then direct it to Amazon and then it still looks like it’s outside traffic. So, let’s imagine this for a second. Let’s say that you post something on someone else’s blog. You do a guest blog post and you write this article and it resides on their website, their home base. Now, in that article you can link over to your product or you can use what we call a pretty link and there’s a little plug-in inside of WordPress called Pretty Link and what that will allow you to do is it’ll allow you to create a special link that you can then go back and change later. So, here’s what that would look like. Let’s say for example for me it’s TheAmazingSeller.com/Ask. If you go there, that will direct you to a page on my blog where it has a little voice recorder that you can ask a question. In this case, what you can do if you’re on YouTube, you can just drop in the comments and then I will answer a question here on YouTube. So, anyway, but I just want to use that as an example. That’s what we’re talking about. Now, if I ever want to change that link, all I need to do is go into the backend of my pretty link inside of the shortener in a sense and then I can redirect it anywhere I want. So, what I would do is let’s say that your brand is XYZ.com and then you would do /ProductOne let’s call it. Now, in that link in the backend, you would just use your listing or your store page in Amazon. [00:11:05] Scott: This way here if you ever have a problem and that traffic is going to that listing but you’re out of stock but you have some over here on your website, you can just switch that link out and then a minute you’re back up and running. That’s the other thing. The other thing is you can also see the traffic numbers that have went through that link. So, if that link has 100 clicks, you’re going to see it had 100 clicks, so we can see a little bit of the analytics on the backend as well. But we never want to just go directly with that hard link going directly over to Amazon because again once that’s in that post, if you can’t go back and edit that post or if you don’t want to because you’ve got 100 links that are pointing then all you need to do if you have your shortener, you have that little TheAmazingSeller.com/Ask I can direct that to any page on my website that I want or any link. I can just tell it where I want to point. So, that is the advantages of using that pretty link or just a shortener of some kind. Now, I would not go out there and use like Bitly or one of those. Those are ugly like those are ugly. They’re free. Some of them have paid. Just get some type of pretty link WordPress or Shopify plug-in so this way here you can go ahead and customize just the tail end. So, it would be YourBrand.com/ProductOne or garlic press or fishing lure or whatever it is. That would be that forward slash and then it would have that at the end of it. I’ll give you another example. I have a list building training that you can go to right now if you want to. I’ll drop it in the description. It’s TheAmazingSeller.com/BuildList. That link will go to a replay of a workshop that I’ve done in the past. Now, if I ever want to change that, all I got to do is go in the backend, type in the link that I wanted to now redirect to and it will go there. So, I would not ever direct the traffic directly to Amazon from any link that resides on my website or other people’s website or even on YouTube. [00:13:08] Scott: If you do a YouTube video and you’re demoing your garlic press and then you have a link that you want to point over to Amazon, just do XYZ.com/GarlicPress and then you’ll direct it to Amazon. This way here if you ever want to redirect that over to your Shopify or any other channel, you can. You have the control in one area. The other cool thing is let’s say that you have that link on 10 different places, 10 different articles, or maybe you have it on YouTube then you have it on Instagram then you have it on your blog or maybe you have five blog posts that you wrote about it and you had the same link, XYZ.com/GarlicPress with one little step. Type in whatever link you want to redirect to, all those links that you have out there will all point to the area that you wanted to or the location that you wanted to. [00:14:01] Scott: All right. So, there you go. Hopefully, that helped you and really helped you understand how to control that traffic especially if you are having articles written on someone else’s platform or their blog or their website or maybe it’s a YouTuber that you’ve gotten to put a link in the description and they’re getting a ton of traffic. This way here you can control that traffic and then at different times you might want to direct that traffic directly to Amazon or maybe you’re going to want to direct this directly to your website or some other resource. So, here’s another example of a short link like I mentioned there in that response, TheAmazingSeller.com/Ask. Yeah. That’s right. That’s the short link for you to go and ask a question if you have one and I will do my best to address it on an upcoming Ask Scott session. All right. So, the other link is the contest, TheAmazingSeller.com/Contest. Go there before July 30 and enter and if it’s after that, you can still go there, and we may have another contest going in the future, so you can always go there and check it out. And then the other link that I did drop in that response was our Build List Workshop which is updated as of right now. We just did one and now it is updated, and we’ve got some cool things that we taught inside of that workshop, so you can find that by heading over to TheAmazingSeller.com/BuildList. All right. So, guys, that is it. That is going to wrap up this session. As always, remember, I’m here for you, I believe in you, and I’m rooting for you, but you have to, you have to, come on, say it with me, say it loud, say it proud, say it with some energy, conviction, say it with everything you’ve got, take action! Have an awesome amazing day! And I’ll see you right back here on the next episode.